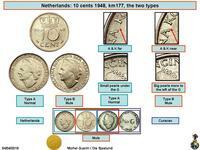 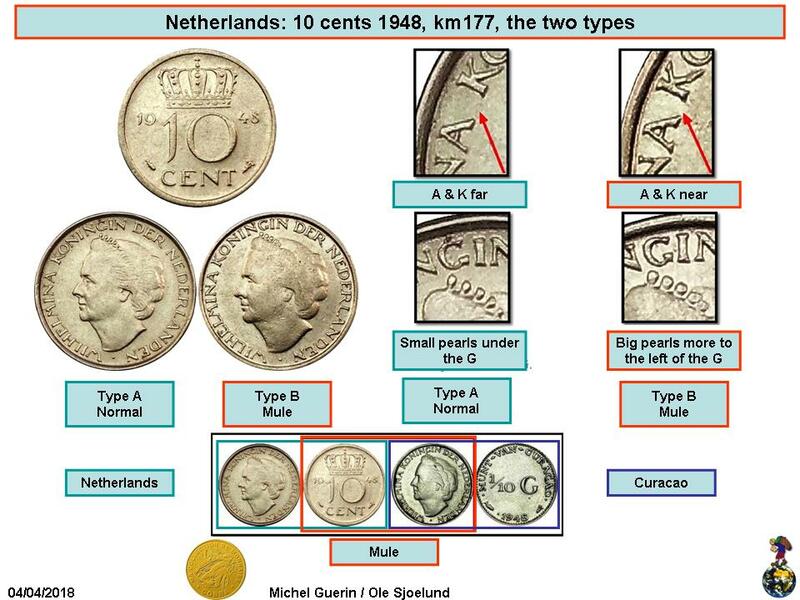 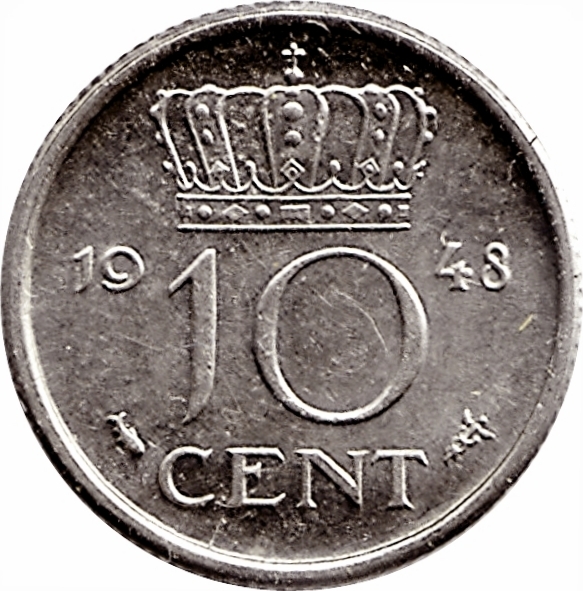 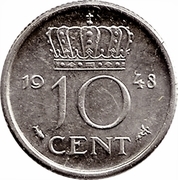 NOTE: There is a mule variety which has the obverse of the Curaçao 1/10 Gulden. Depends on the position of the pearls on the crown pointing between NG letters. 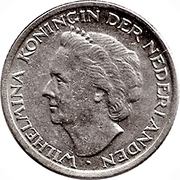 Also A closer to K.